Ron DeLite was a defendant in the Mask☆DeMasque trials. 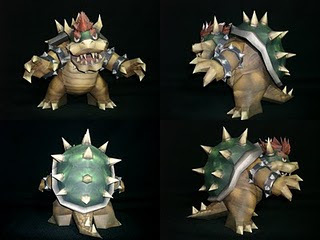 Bowser, also known as King Koopa is the leader and most powerful of the turtle-like Koopa race and Mario's archnemesis. 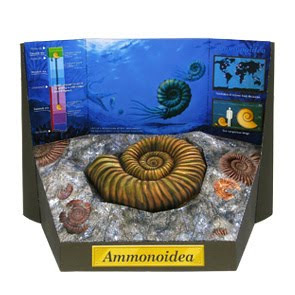 It is available in 2 sizes (20 and 30 cm). 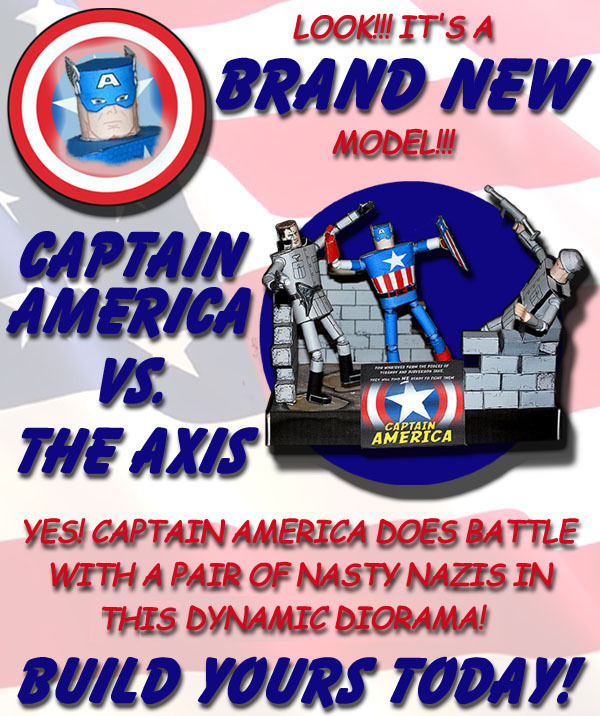 Here's a diorama depicting Captain America fighting two Axis soldiers. 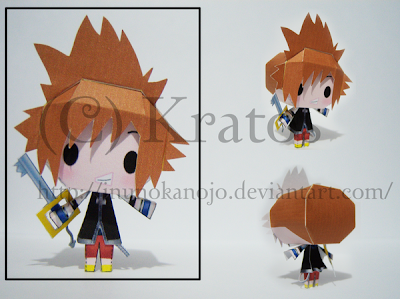 Alex of matica.com has informed us about his latest papercraft. 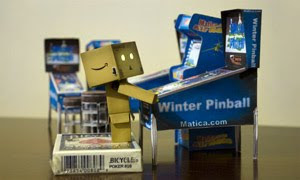 The winter pinball is the second installment of their arcade papercraft series. 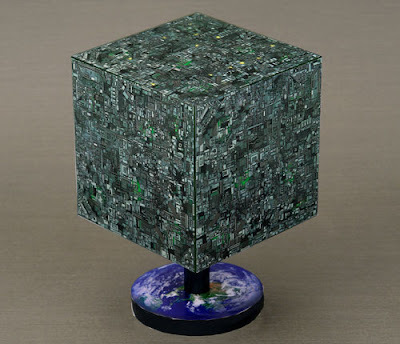 Borg starships are huge interstellar spacecraft used by the Borg race to assimilate other species. 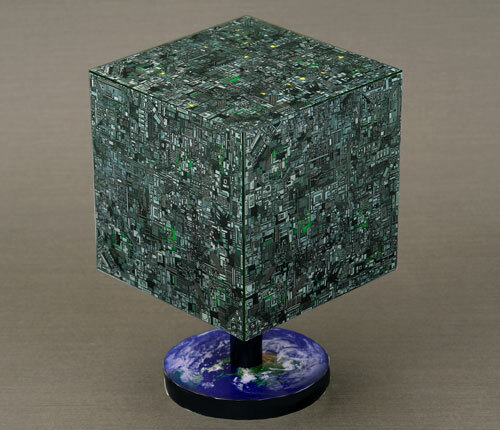 This one appeared in the film Star Trek: First Contact and was designed by Shinichi Makino. 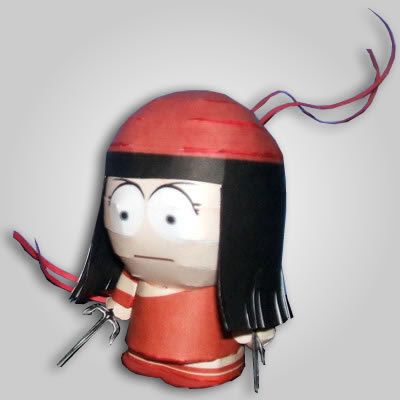 That sphere helps the player understand the Al Bhed, a near-human tribe of technologists from the Final Fantasy X.
Jan Hankins (Horrorwood) has created this exclusive papertoy to celebrate Toysrevil blog's 5th anniversary. Buneary is a normal-type Pokémon that evolves into Lopunny. 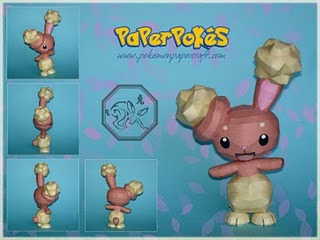 Buneary are small furry mammalian Pokémon with long ears with pink ear insides. 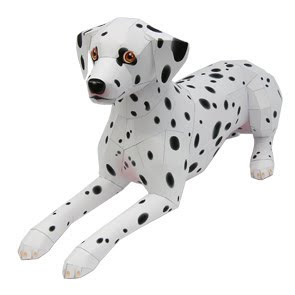 They have an impressive jumping ability and are able to deliver powerful blows with their curled up ears. Mabikaze has just uploaded the bunny girl. It is a follow-up to the drinking Kaziya posted a while back. 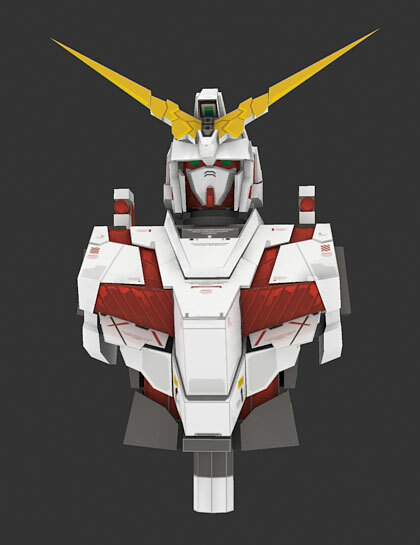 Jules has just released the torso part of the Unicorn Gundam. 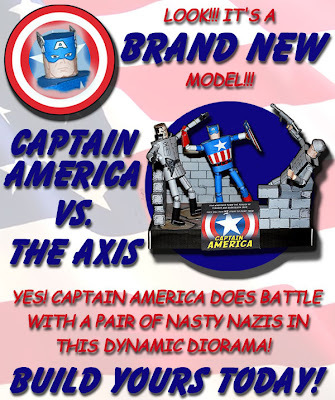 Can't wait to build this one. The Bradley Fighting Vehicle is an American fighting vehicle platform manufactured by BAE Systems Land and Armaments, formerly United Defense. 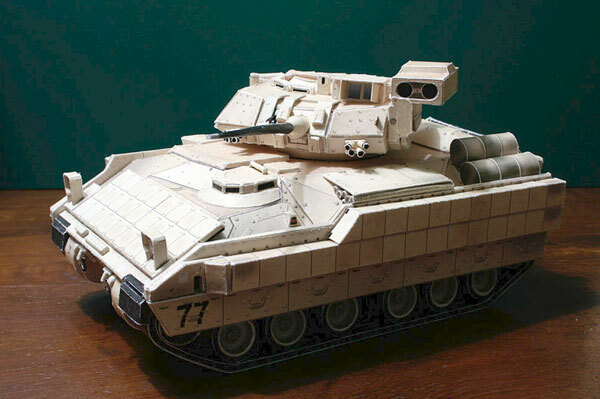 As with other infantry fighting vehicles, the Bradley is designed to transport infantry with armor protection while providing covering fire to suppress enemy troops and armored vehicles. The M2 holds a crew of three: a commander, a gunner and a driver; as well as six fully equipped soldiers. The M3 mainly conducts scout missions and carries two scouts in addition to the regular crew of three. Build your very own model of the "People's Car," the Volkswagen Beetle. Phantom Ganon is a recurring boss in the Legend of Zelda series. 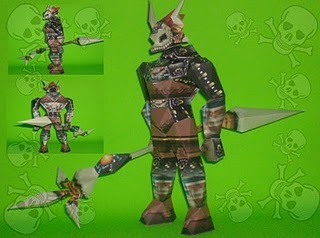 Ganon was created by Ganondorf to be his servant and killing machine. 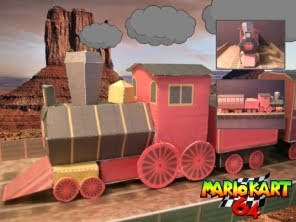 That is the train from Kalimari Desert, a race course in Mario Kart 64. It is the fourth and final race of the Mushroom Cup. From left to right are 2010 FIFA World Cup jerseys of England, France and Germany. 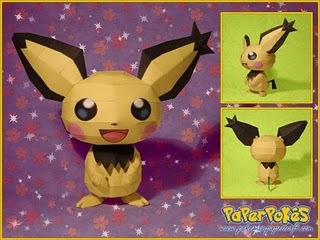 Here's a variation of the Pichu papercraft that I posted a week ago. The Spiky-eared Pichu is also known as Notched-ear Pichu. Check out this chibi Sora from the Kingdom Hearts series. 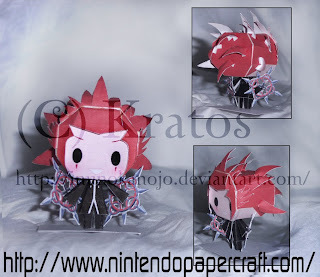 It was designed by Kratos. 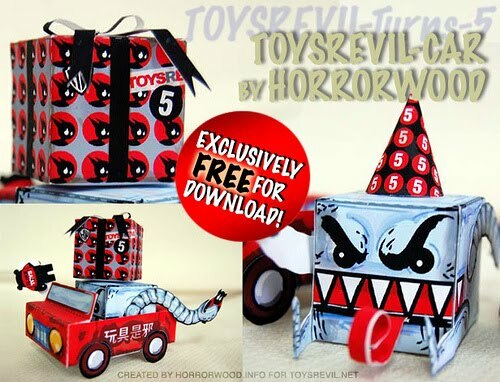 Here's a follow-up to Paperinside's stock car papercraft series. 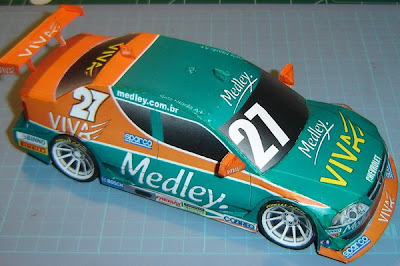 It is a 2007 Chevrolet Astra that is used in Stock Car Brasil (Campeonato Brasileiro de Stock Car). Here's a model of the Airbus A330-200 plane used by Jet Airways, India's second largest airline. 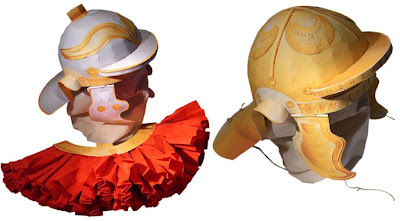 Build these 1:1 scale Roman military helmets created by Hans-Dieter Richter of Berlin, Germany. 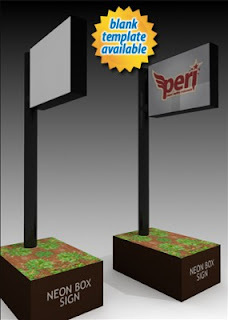 Just design the blank template and you have your very own billboard. 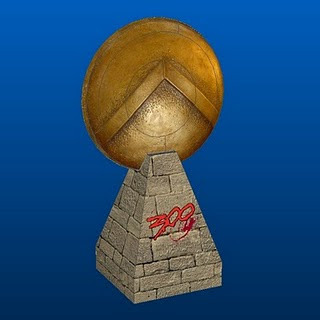 This trophy was patterned after that of the FIFA World Cup in South Africa. 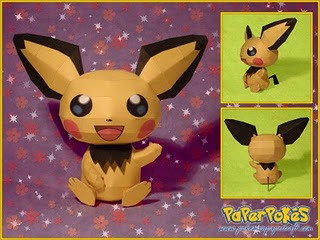 Here's the latest papertoy design from saltnpaper. Xroom is a runner that keeps on going forward. 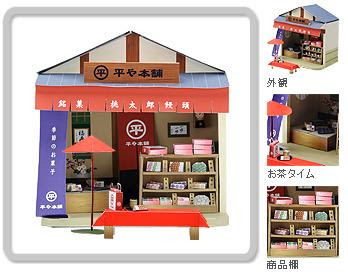 Here's the latest addition to the paper museum's dollhouse series. F-15I is a dual-role long range fighter for attack and interception. The plane - the best of its type in the Middle Eastern arena - entered service in January of 1998, and is the IAF's lead plane. The Ra'am is a special version of the F-15E Strike Eagle that was designed specifically for Israel by McDonnell Douglas (now Boeing). Its tremendous payload capacity, combined with its advanced systems, enable it to carry out depth attacks with a large weapons load, at long ranges, at low altitude, in all hours of the day and night and in any weather conditions. 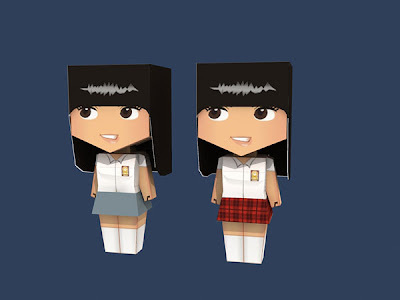 Here's a simple high school girl papercraft from paper-replika. Jules has released the head part of the Gundam Unicorn, his first Gundam project. Mobile Suit Gundam Unicorn is a light novel series by popular Japanese author Harutoshi Fukui. The novel takes place in Gundam's Universal Century timeline. 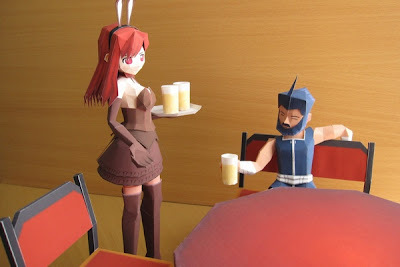 An anime adaptation of the novels premiered on Sony's PlayStation Network Japan from February 20, 2010, and the first episode had a simultaneous worldwide DVD and Blu-Ray Disc release on March 12, 2010. 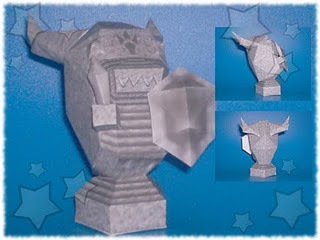 Jules has recently finished the 2D part of his Optimus Prime papercraft project. 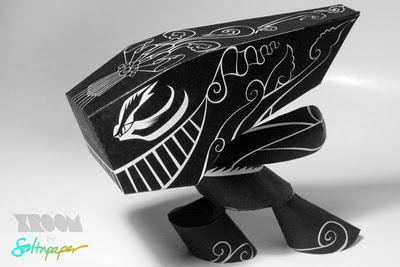 Armos are recurring enemies in the Legend of Zelda series. 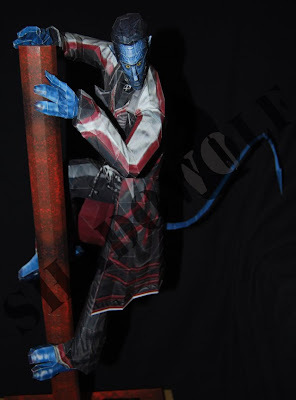 They typically pose as a statue or suit of armor, but they attack when touched or approached. 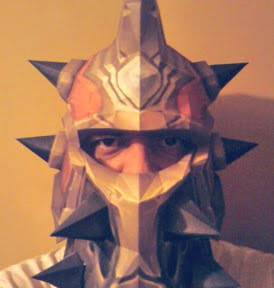 From the World of Warcraft, that wearable plate helmet papercraft was inspired by Tier 9, an armor set associated with the Crusaders' Coliseum, released in patch 3.2. Thucydides reports that when Spartan men went to war, their wives (or another women of some significance) would customarily present them with their shield and say: "With this, or upon this", meaning that true Spartans could only return to Sparta either victorious (with their shield in hand) or dead (carried upon it). The inverted "V" symbol is the Greek letter "L" [Lambda (uppercase Λ, lowercase λ; Greek: Λάμβδα or Λάμδα)]. The Spartans used the red Greek capital letter lambda (Λ) displayed on their shields as an identification as the people of Lacedaemonia (Λακεδαιμωνία), which in historical times, was the proper name of the Spartan state as used by Thucydides in his histories. Here's a model inspired by Pulse, a live double album by Pink Floyd, released through EMI Records on 29 May 1995. 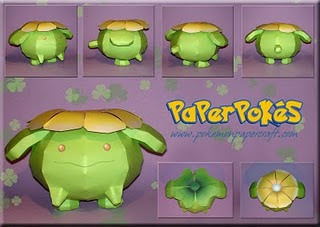 Skiploom is a dual-type Grass/Flying Pokémon that evolves from Hoppip. Much like Hoppip, Skiploom needs a gust of wind to get itself airborne. It flies using its flower as a propeller. 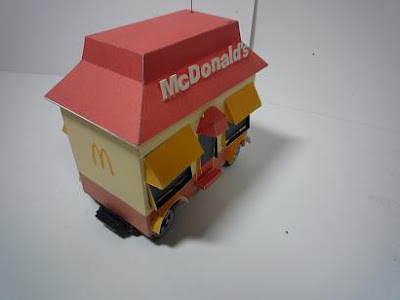 Here's a papercraft to celebrate the release of FOUR new quarter-pound burgers (Texas Burger, Burger New York, Hawaiian Burger and California Burger) in Japan. 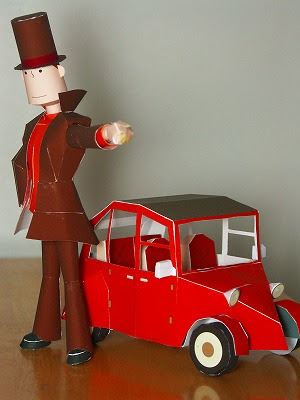 Professor Hershel Layton is one of the two, later three, main protagonists of the Professor Layton series. He is an archaeologist who lives in London and is known around the world for his puzzle-solving skills. 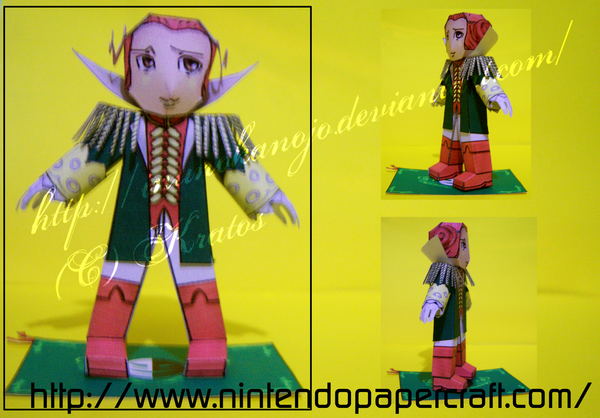 That is the armor of Gemini Kanon, one of the characters from the anime/manga series Saint Seiya. 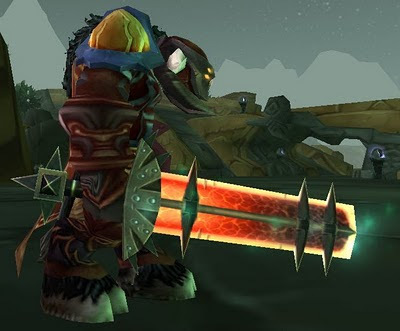 From the World of Warcraft, the Sun Eater drops from Pathaleon the Calculator in The Mechanar of Tempest Keep on heroic mode. 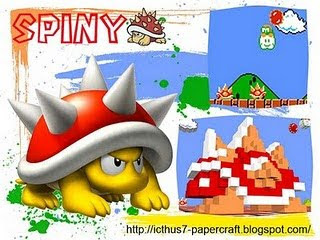 Spinies, are creatures in the Mario series. They first appeared in the NES classic Super Mario Bros., where Lakitus (whom have an unlimited supply of them) would aim and throw them from above toward Mario or Luigi (depending on who the player was). 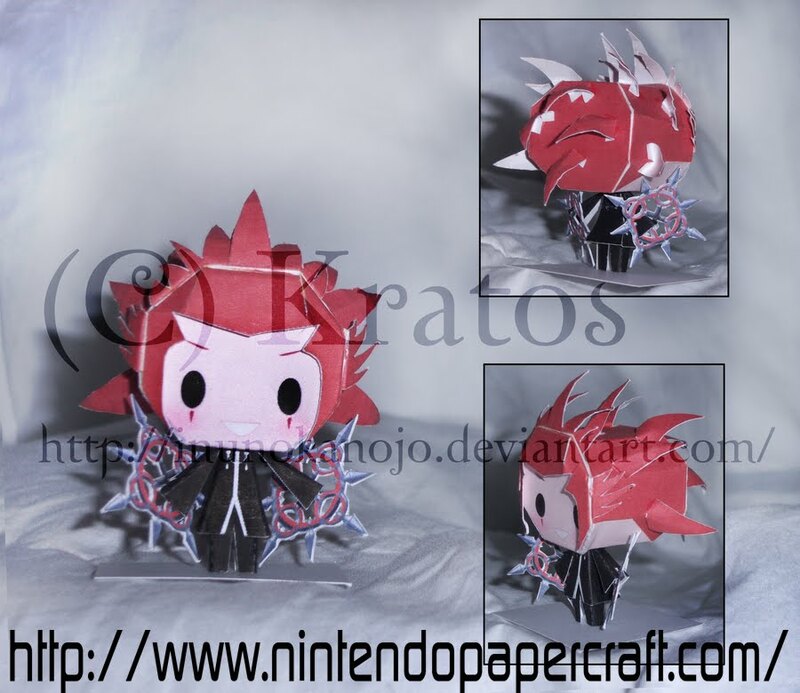 If he failed to do so, the Spiny would come out of his shell and try to harm one of the characters. 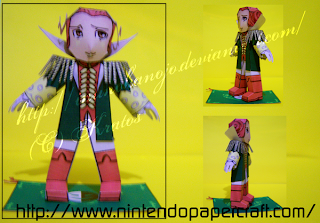 That is the armor of Virgo Shaka, a character from the Saint Seiya, an anime/manga series by Masami Kurumada.